This place is incredible. The cemitas are one of a kind... some of the best torta-like sandwiches I've eaten. Everything is made fresh to order with the best ingredients! In fact, most are even brought over from Mexico. I will definitely be back! Only reason I wouldn't walk the entire "5 miles" is because of the location (farther from the city) and also the lack of seating. Other than that its "5 mile food quality"! As you can see its stuffed with milanesa, carne enchilada, jamon, oaxacan cheese, avocado, chipotle peppers, and papalo. 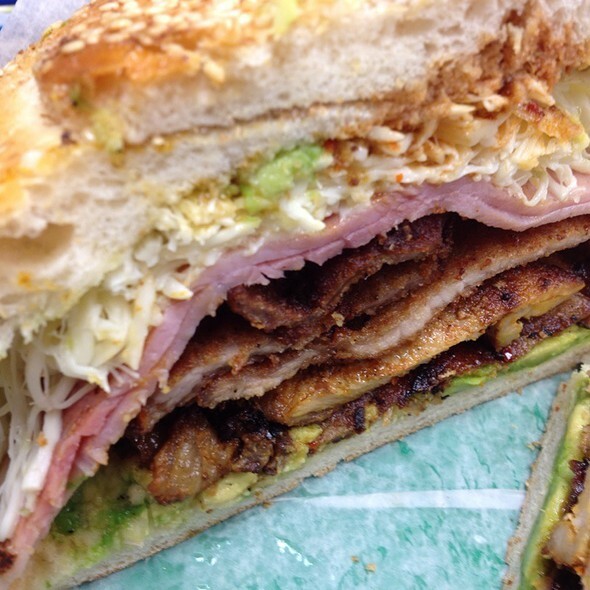 This is a must have cemita!! All the meats were cooked perfectly and surprisingly you could taste each individual one. Also adding all their homemade salsas put this cemita over the top! WOW! 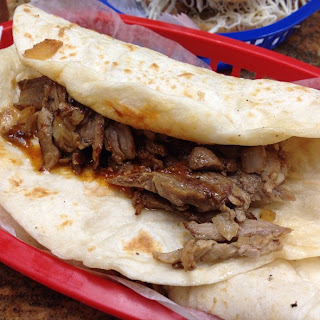 A Mexican spin on shawarma... It's a delicious blend of pork and onions cooked on a spit and them rolled on a thick tortilla! Definitely the best meat on their menu! Wish I had the cemita version too! A quesadilla filled with chicharones which are fried pork skin. There wasn't too much fat, and the cheese was just enough to make it gooey. Adding their table salsas to this quesadilla was perfect! 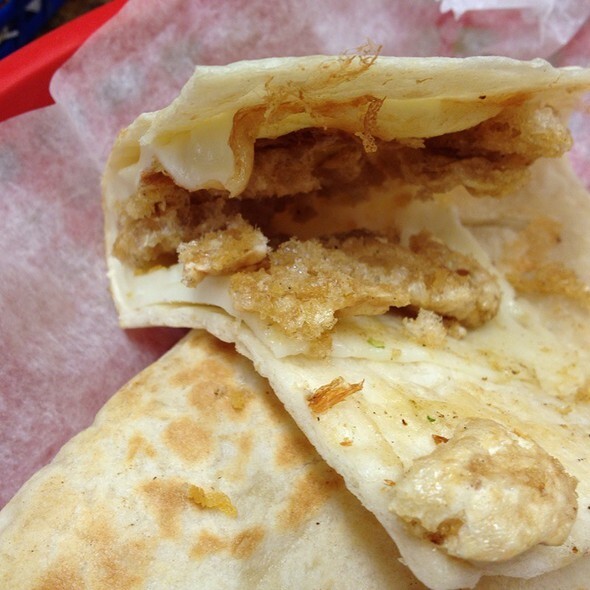 I never had chicharones in a quesadilla... I'm glad I tried it here! This was something I wasn't expecting. 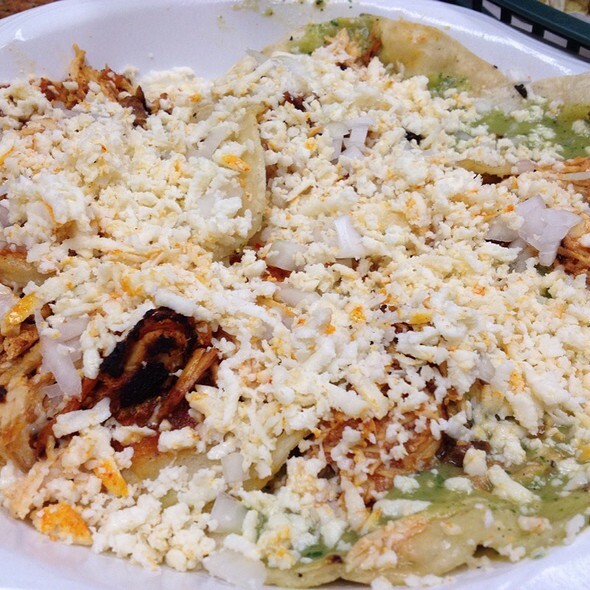 These chalupas are served on corn tortillas and are basically sprinkled with shredded chicken, their special salsa verde, fresh mexican cheeses, and sliced onion. They are extremely spicy for some reason, which I loved, but the rest at the table didn't care too much for. I think there should be a warning on these being real spicy! 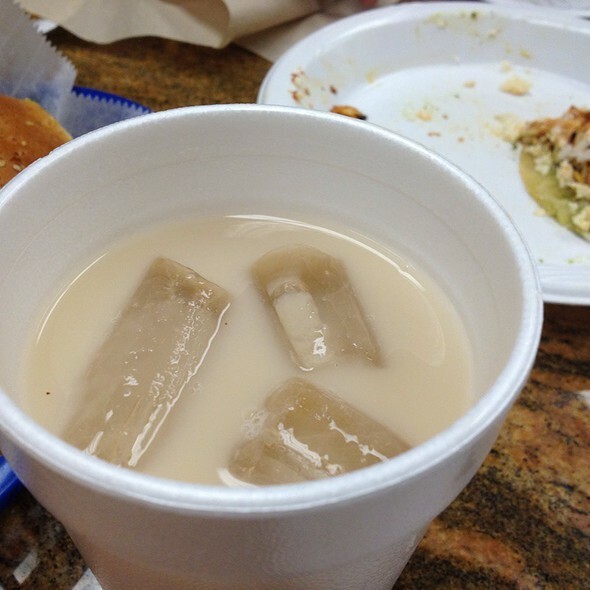 Very refreshing horchata... I loved it because of its cooling effect on the burn from all their spicier salsas. Also, it had a light cinnamon flavor to it... not too overwhelming like some of the other horchatas I've tried. - When walking in, if no one is at the door, just find an open table and claim it... this place gets packed real fast so its hard to find seats. - Then go order at the cash register and pay... they will then remember where you are sitting and bring the food to you. - Don't be afraid to share plates here... they have so many different items to try so its better to eat half a cemita and a taco arabe... then no taco arabe at all. - Also, coming at night was a little hard to find... Street parking is available, but I advise going during the day time!